Does anyone know of a NZ Potter with the initials IKP? 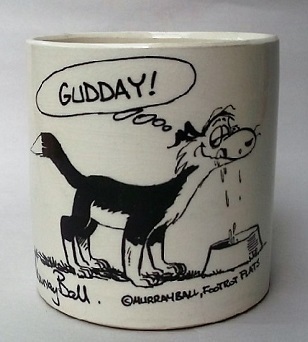 Was shown a pot today which had been bought by a friend - (sorry, no photo!) .. beautiful, fat-bellied bottle. It had a sticker on the bottom which read "No. 11, $30" and the initials "IKP". A very clear finely-marked stamp was shown near the base ... Capital I (with a base-line to the "I" and the curve of the capital "P" was incorporated with the top of the "I". No sign of a "K" anywhere on the stamp, only on the label. Obviously an exhibition pot .. beautifully made. My friend doesn't have a computer so offered to make an enquiry on his behalf through this site. Thanks for any suggestions.